HomeIslam: Submission to AllahIslamic Law and JurisprudenceShould Muslims Argue Exceptionalism/Particularism in International Law? This mini-paper takes context of a Muslim mind in the current discourse of (Western) Universalism versus Exceptionalism/Particularism in international law. Typically an international human rights discussion is at the center of this. I observe that most Muslim international law scholars with righteous aqeedah choose to argue Exceptionalism/Particularism. I argue that, while they may be righteous in their intentions, but the Exceptionalism/Particularism argument is actually founded and leads to an unislamic road. It is my contention that there is a third path, and that this is the true path that a Muslim international law scholar must take at least as a long term path. It is my hope that this short mini-paper can open up a new discussion on the matter. Eurocentrism is an undeniable reality. Its hegemony reaches all planes, including economics, politics, and even intelectual. In context of international law, Eurocentrism takes form of an acclaimed universality which is enforced by the world powers -usually dominated by the western powers. Scholars like Sugeng Istanto have noted that the international law we have today is a European one. International human rights law is one of the most apparent areas where Islam becomes a controversy. Scholars, politicians, preachers, and even laymen have been furiously debating the compatibility between Islam and human rights. This will seem to continue until forever. The underlying assumption held by the anti-Islam side (and sometimes also the pro-Islam side) is typically the universality of human rights. This takes the position that -somehow- international human rights law are all-encompassing including, as Helen Quane seems to suggest, above religion. An ‘Almighty’, it seems to be. This narrative is also used against any religion as well as traditional cultures. What is a proper response of a Muslim Scholar of International Law? A ‘reformist’ response (i.e. Muslims adjust the Sharia) like that of Abdullaahi An-Na’im is clearly out of question. His arguments find basis from hermeneutics. In its most basic form, hermeneutics strip a text off its divine attributes and reduced it into a mundane product of the limited human faculties. Treating the Quran like this, as what Nasr Hamid Abu Zayd did, is an act of kufr. Numerous fatwas speak against this train of thought. Particularly for the case of Nasr Hamid Abu Zayd, he was declared as a murtad (apostate) by the Cairo High Court due to the beliefs he held. An-Na’im uses a unique version of hermeneutics, taken from his mentor Mahmoud Muhammad Thaha. Essentially, Thaha bases his thought on a premise that only the Makki ayats of the Quran are valid universally while the Madani ayats are particular-temporal to early-Islamic Arabia only. This premise is against the proper understanding of Islam and is a major deviance which has amounted to kufr. Deeper discussions on hermeneutics and why it is an unislamic method can be found in the works of numerous scholars such as Adian Husaini, Fahmi Salim, and much more. A discussion on An-Na’im’s discourse is also probably for another day. It must be admitted that, as a discourse against universalism, exceptionalism or particularism does seems like a very appealing one. The idea is that the universal rule acclaimed by the West is not really as universal as it is suggested to be. The appeal of this approach is well deserved as it is well merited. From a legal positivist perspective, one can easily see the flaws of universalism. Especially in context of human rights, it is difficult to deny the reality that none of the human rights instruments are truly universally ratified or even free from reservations. Customary international law cannot be argued, as it requires uniformity of practices which substantially lack. A political historical critic would also attack universalism in a different way. A postcolonial approach, both in general socio-historical perspective (e.g. by Wan Mohd. Nor Wan Daud) or critical international law approach (e.g. Antony Anghie), argue convincingly that the Western hegemony and claim of universalism is backed up by nothing other than colonial hegemony. Anghie further argued that medieval justification for colonialism is preserved throughout the centuries and reproduced in modern days. This adds a sinister nuance as well as immorality in the basis for the Western claim of universality. From an ‘academic-political’ approach, it is easily pragmatic also for a Muslim academics to take this approach due to prospective ‘alliances’ that could be made. Typically, the larger range of groups represented the more appealingly legitimate one may seem. This is probably an academic equivalent of “the more the merrier”. Under this notion, the Cairo Declaration of Human Rights in Islam was made in 1990. This is to show that Islam, too, has its unique concept of human rights while conforming to the international one. I myself have argued this position before in my works not very long ago. However, is this really a proper Muslim’s position? The problem with exceptionalism or particularism in international law is that it is an apparent product of relativism. Maybe finding some basis in rationalism which holds that knowledge is entirely a product of the human limited faculties, relativism argues that truth -which comes from knowledge- is dependant upon the subject. Meaning, that there can be many truths at the same time for different subjects. Consequently, there is truth objective to everyone. The damage potentially caused by this train of thought has taken form into the position of Ebrahim Afsah. He argues that there cannot be an exception for Islam in international law with an interesting approach. Not in a positive sense. Let us set aside his reformist proposals which naturally follows from his conclusion. He sees that Islam is no different from others. Meaning, Islam has its own truth claim, sets of values, and etc, which -as he argues- every civilization and cultures would have. This, then, inevitably leads to a dangerous question: if everyone else is also like this, why should Islam in particular be given special leeway? The crux of the issue is not really in Afsah’s conclusion and what it entails. Rather, his approach puts Islam in a position that does not befit its status as the Deen revealed by Allah. If exists knowledge from Allah Himself which neither originates nor is dependent of the human limited faculties, then that is truly what an objective truth is. Meaning, there exists absolute truth irrespective of the subjects. This is why, then, Hamza Tzortzis argues that God is the only plausible source of objective morality. Relativism therefore cannot be a Muslim position, nor can its products be. Al Imran ayat 19 is clear by saying that the only deen acceptable by Allah is Islam. The Umm al-Kitab i.e. Surah Al-Fatihah in the last two ayats also emphasize that there is a right path and also a wrong path. What Afsah seems to fail to grasp is precisely this. It may be true that it is not only Islam who has a truth claim, system of law and values, and so on. However, only Islam really has the truth in that claim. One cannot be Muslim and claim otherwise. The consequence of bearing knowledge of objective truth is therefore inevitably only one: a true claim of universalism. It does not befit Islam or a Muslim to claim any less. It makes no rational sense either. If one believes that one bears objective truth from divine revelation, why make this limited to Muslims only? After all, as Allah says in Surah Anbiya ayat 107 that Prophet Muhammad was sent as rahmah (mercy) for all in existence. As Imam Ibn Kathir notes, some scholars explain Allah’s Name Ar-Rahman encompasses all kinds of mercy (while Ar-Rahim encompasses mercy special to the believers). From the perspective of ushul al-fiqh, behind all Islamic law there is the Maqashid Shari’ah i.e. the objectives of Islamic Law. Here, Islamic law has an objective to preserve five basic and fundamental areas essential to man: deen, life, intellect, lineage, and wealth. Everyone needs that. Even when one does not believe in the deen (i.e. 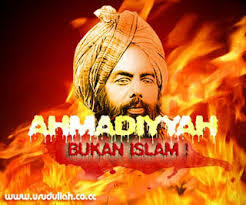 Islam), what is to say that they do not need the others? Therefore, the reality is simple. As a ground rule, Muslim scholars of international law should argue for the universalism (instead exceptionalism or particularism) but not the Western universalism. Rather, Muslim scholars should argue the universalism of Islamic laws and principle as it would benefit all mankind. This would may necessarily exclude the application of certain Muslim-specific rules (e.g. the obligation of shalat and other acts of ritual worship) towards non-Muslims. Fiqh al-Siyar, the Muslim International Law, is limited to regulate the conduct of the Islamic State in foreign relations. However, the modern trend of international law demands an intellectual participation of Islam not only amongst Muslims but also in the world. This essay argues that the participation of Muslims in the making of international law should not be by arguing exceptionalism/particularism. Muslims must not be confined into (Western) universalism versus exceptionalism/relativism. Rather, Muslims should argue a third option true to the Islamic aqeeda: Islamic universalism as “rahmatan lil ‘aalamiin”. It must be noted that, as a matter of academic or political practicality, this position is a very ambitious one. It is a mission which requires careful planning and a lot of patience. It is easy to imagine that most readers would find this practically unachievable. Siyasah is very important, and knowledge must be developed very carefully. It may be that the Muslim scholars can, for now, contribute to a particularism/exceptionalism critic of international law only as a temporary maneuver. This can be a short to mid-term strategy to systematically dismantle the western universality claim as the immediate priority. After all, it seems that currently the significantly larger body of scholarship is on this notion. Meanwhile, it is imperative that Muslim scholars keep Islamic universalism at their hearts. They should do so while developing the scholarship of Islamic universalism for the long-term plan: the Islamization of international law for all. I do realize that the length and depth of this article gives very little justice to the issue it intends to pursue. Some basic key concepts, such as the basic concepts of ‘universalism’ and ‘particularism/exceptionalism’ or ‘truth’, are not introduced. The claim I make is admittedly a very bold one, and may be controversial to many, and surely this should rely on a much deeper and more extensive analysis. After all, I did write this on my phone on my way home from campus. Upon reaching home, I just added footnotes then published it on my blog. My intentions of publishing this is not really to prove a point, or at least not yet. I just wish to open discussions on the matter because I feel it to be a critical issue. Maybe one day, inshaaAllah, this will be developed into a proper scholarly piece. Many thanks to those who have provided feedback to this short mini-paper, and I look forward to more of it. Sugeng Istanto, Hukum Internasional (Yogyaakarta: Penerbit Universitas Atmajaya Yogyakarta, 1994), 9–10. Helen Quane, “Legal Pluralism and International Human Rights Law: Inherently Incompatible, Mutually Reinforcing or Something in Between?,” Oxford Journal of Legal Studies 33, no. 4 (2013): 675. Abdullahi Ahmed An-Na’im, “Islamic Law, International Relations, and Human Rights: Challenge and Response,” Cornell Int’l LJ 20, no. 2 (1987): 317–35. 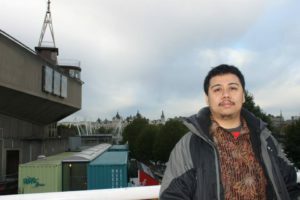 Fahmi Salim, Kritik Terhadap Studi Al-Qur’an Kaum Liberal (Jakarta: Perspektif, 2010), 116; Adian Husaini and Abdurrahman Al-Baghdadi, Hermeneutika & Tafsir Al-Qur’an (Jakarta: Gema Insani Press, 2007), 33. See for example, Malaysia : Kompilasi Pandangan Hukum: Muzakarah Jawatankuasa Fatwa Majlis Kebangsaan Bagi Hal Ehwal Ugama Islam Malaysia (Putrajaya: Jabatan Kemajuan Islam Malaysia (Bahagian Pengurusan Fatwa), 2015), 18–20. And Indonesia : “Fatwa Majelis Ulama Indonesia No. 7/MUNAS VII/MUI/11/2005 Tentang Pluralisme, Liberalisme Dan Sekulerisme Agama” (Jakarta: Majelis Ulama Indonesia, July 2005), http://mui.or.id/wp-content/uploads/2017/02/12.-Pluralisme-Liberalisme-dan-Sekularisme-Agama.pdf. And Saudi Arabia: Shalih bin Fawzan Al-Fawzan, “Fatwa Al-Libraliyyah,” Alfawzan, accessed December 1, 2017, http://www.alfawzan.af.org.sa/ar/node/2350. Mona Abaza, “Civil Society and Islam in Egypt: The Case of Nasr Hamid Abu Zayd,” Journal of Arabic, Islamic and Middle Eastern Studies 2, no. 2 (1995): 29. Which is reasonable. Among the quotes from Abu Zayd which may represent his kufr is “The word of Muhammad reporting what he asserts is the word of god, this is the Qur’an” (Nasr Hamid Abu Zaid and Aster R. Nilson, Voice of an Exile: Reflections on Islam (London: Westport Connecticut, 2004), 96. An-Na’im, “Islamic Law, International Relations, and Human Rights: Challenge and Response,” 334. Mahmoud Mohamed Taha, “The Second Message of Islam,” in Liberal Islam: A Sourcebook, ed. Charles Kurzman (New York: Oxford University Press, 1996), 270–83. Taha has been declared as an apostate by Al-Azhar Research Academy and the Muslim World League due to his thoughts. See:“Tawarruth Al-Azhar Fi Shanaq Mahmud Muhammad Taha,” Ahewar, February 8, 2015, http://www.m.ahewar.org/s.asp?aid=454296&r=0. Husaini and Al-Baghdadi, Hermeneutika & Tafsir Al-Qur’an. Salim, Kritik Terhadap Studi Al-Qur’an Kaum Liberal. Fajri Matahati Muhammadin, “Universalitas Hak Asasi Manusia Dalam Hukum Internasional: Sebuah Pendekatan Post-Kolonial,” in Hak Asasi Manusia: Dialektika Universalisme vs Relativisme Di Indonesia, ed. Al-Khanif, Herlambang P. Wiratraman, and Manunggal Kusuma Wardaya (Yogyakarta: LKiS, 2017), 12–13. Malcolm N Shaw, International Law, 6th ed. (New York: Cambridge University Press, 2008), 72–93. See generally: Wan Mohd Nor Wan Daud, Islamization of Contemporary Knowledge and the Role of the University in the Context of De-Westernization and Decolonialization (Johor Baru: Penerbit UTM Press, 2013). See generally: Antony Anghie, Imperialism, Sovereignty, and the Making of International Law (New York: Cambridge University Press, 2004). See generally: Muhammadin, “Universalitas Hak Asasi Manusia Dalam Hukum Internasional: Sebuah Pendekatan Post-Kolonial.” For a human rights law specific theme, see also: Fajri Matahati Muhammadin and Fathimathush Sholihah, “Towards a United Islamic Identity in the Making of International Law,” International Journal of Business, Economics, and Law 9, no. 5 (2016): 224–32. For a general international law making theme. Brand Blanshard, “Rationalism,” Encyclopædia Britannica, accessed November 30, 2017, https://www.britannica.com/topic/rationalism. See also: Asmoro Achmadi, Filsafat Umum (Jakarta: Rajawali Press, 2011), 115. Syamsuddin Arif, “Ilmu, Kebenaran, Dan Keraguan: Refleksi Filosofis -Historis,” in Orasi Ilmiah Dalam Rangka Memperingati Ulang Tahun Ke-13 INSISTS (Jakarta: Institute for the Study of Islamic Thought and Civilizations, 2016). Ebrahim Afsah, “Islamic Exceptionalism: How Valid Is the Concept of ‘Islamic Human Rights,” Kennedy School Review 1, no. 1 (2000): 5–15. See also a further development of this argument: Ebrahim Afsah, “Contested Universalities of International Law. Islam’s Struggle with Modernity,” J. Hist. Int’l L. 10 (2008): 259–307. Adian Husaini, “Pengantar Editor,” in Filsafat Ilmu: Perspektif Barat Dan Islam, ed. Adian Husaini and Dinar Dewi Kania (Jakarta: Gema Insani Press, 2013), xvi–xviii. Husaini and Al-Baghdadi, Hermeneutika & Tafsir Al-Qur’an, 12. Ahmad von Denffer, Ulum Al-Quran: An Introduction to the Sciences of the Quran (Leicestershire: The Islamic Foundation, 2014), 6–7. See: Hamza Andreas Tzortzis, The Divine Reality: God, Islam and the Mirage of Atheism (San Clemente: FB Publishing, 2016), chap. 9. Imam ibn Katsir, Shahih Tafsir Ibnu Katsir, vol. 1 (Jakarta: Pustaka Ibnu Katsir, 2016). Imran Ahsan Khan Nyazee, Islamic Jurisprudence (Selangor: The Other Press, 2003), 202. Imam Al-Shaybani, The Islamic Law of Nations: Shaybani’s Siyar, trans. Majid Khadduri (Maryland: John Hopkins Press, 1966), 39. Many works on how Islam can contribute are generally defensive, especially in the issue of jihad. See: Ghazi bin Muhammad, Ibrahim Kalin and Mohammad Hashim Kamali, eds., War and Peace in Islam: The Uses and Abuses of Jihad (Cambridge: Islamic Texts Society, 2013). Some works start to reach on how Islamic law conforms to other themes of International law, e.g. Wahbah al-Zuḥaylī, Fiqih Islam Wal Adillatuhu, vol. 8 (Jakarta: Gema Insani Press, 2011)., some start to speak of developing Islamic international law in those various themes including myself, see: Muhammadin and Sholihah, “Towards a United Islamic Identity in the Making of International Law.” Few are available, but this leaves a rich amount of research potentials. I look forward to see more.